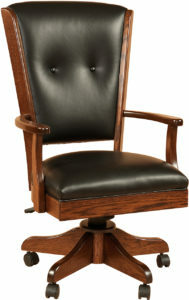 For comfort, beauty and longevity, solid wood desk chairs are without equal. 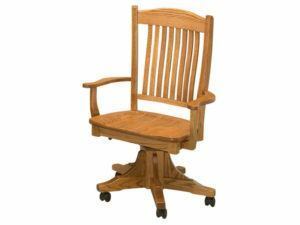 And Brandenberry Amish Furniture offers a wide variety of top-quality chairs. Amish artisans custom-make them all. 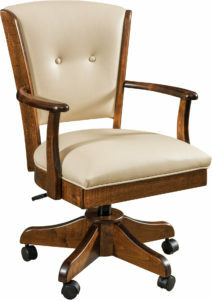 So they’re superior to most chairs you’ll find in office supply and traditional furniture stores. 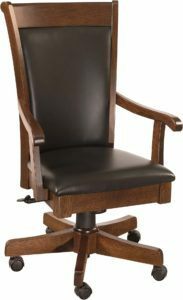 With so many options for desk chairs – online and in office supply and traditional furniture stores – why should you pick a chair from Brandenberry Amish Furniture? 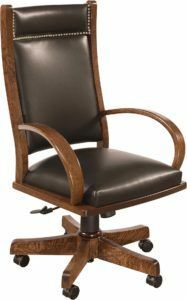 We understand the allure of office chairs built of synthetic materials. For starters, they’re usually affordable. 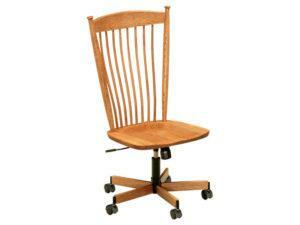 But if you’re seeing a higher level of comfort and beauty, plus longevity, solid hardwood chairs are unequaled. 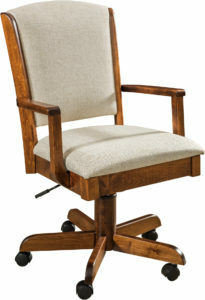 And that’s where desk chairs from Brandenberry come in. Amish craftsmen painstakingly handcraft each chair. And they use solid hardwoods. Like oak, maple, cherry and hickory. 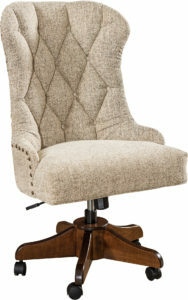 Plus, they include premium materials, such as upholstery and hardware. No wonder our chairs are so incredibly sturdy and durable! 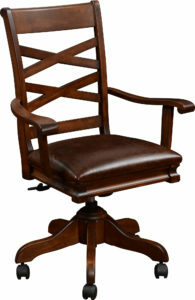 In fact, with proper care, the desk chair(s) you choose should serve your household for decades to come. What’s more, you get a wide range of styles to choose from. 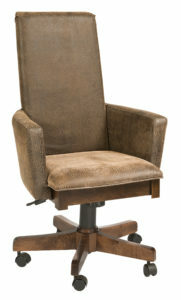 Like swivel and client side chairs. 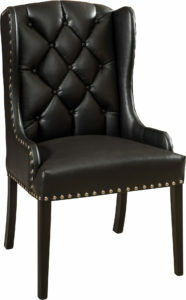 Also, you can choose fabric or leather upholstered chairs. Plus high or low back. 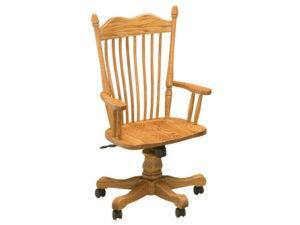 You can order chairs as shown or unfinished. Or, you can ask us to customize it for you. Just tell us your preferences. Like your choice of wood plus the stain/finish along with any other custom ideas. Also, if you have questions, feel free to talk with one of our trained staff. 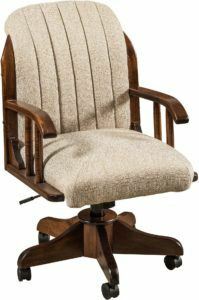 We’ll help you create the best desk chair, best computer chair or other type of computer chair you’ve ever owned.